After the debut Theatre & Technology Awards took place in October 2017 at the Bush Theatre and the second at the Soho Curzon Cinema, preparations are now underway for this year’s awards. This year’s event will take place on Sunday 20th October 2019, and will take place online! Munotida Chinyanga trained in Theatre Arts at Middlesex University; specialising in Directing and Sound Design with a First Class Bachelors Degree (2017). She also studied MA Theatre Arts at Middlesex University, focusing on Multidisciplinary practises within Theatre and Performance, and International collaboration (2018). Professional training includes; Emerging Directors Course at The Almeida Theatre (2017), Young Vic’s Director Training Programme including Springboard (2018), Fresh Direction (2018) and the Boris Karloff Trainee Assistant Director. RSC’s Movement Directors workshops at RCSSD (2018), Encounters ‘Widening the Lens’ (supported by the BFI) 2019. Born in Piraeus, Greece. Sofia holds a BPhil in Italian Language and Literature and an MPhil in Theatre Studies and currently a Ph.D. candidate in the same field. From 2009-2011, she worked as an assistant to the acclaimed Greek Lighting Designer Lefteris Pavlopoulos. She has designed lights for more than 90 shows across different genres. Sofia teaches lighting design at the Liverpool Institute for Performing Arts. Andrzej works as a Set and Projection Designer internationally across all forms of live per- formance. He was recently nominated for a Drama Desk Award and a Knights Of Illumination Award in 2018 (for People, Places and Things), won the 2017 Theatre and Technology Award for Creative Innovation in Video Design (for Room), nominated for the first ever Whatsonstage Award for Video Design in 2017 (for Groundhog Day) and was just nominated for two Off West End Awards (2019) for Set Design and Video Design (for The Unreturning). Projection Designs include: The Unreturning (Frantic Assembly UK Tour); Status (Edin- burgh Festival 2018 – Fringe First WINNER); People, Places and Things (National Theatre, West End, St Ann’s Warehouse, UK Tour); Groundhog Day (Broadway, Old Vic); Pressure (West End, UK Tour, Park Theatre); Me and My Girl (Chichester Festival Theatre); Frost/Nix- on (Sheffield Crucible); Coriolanus (Donmar Warehouse, NT Live); 1984 (Northern Ballet, Sadler’s Wells, Sky Arts); Kiss Of The Spider Woman (Menier Chocolate Factory), The Sui- cide, From Morning To Midnight, (National Theatre); Relative Values (West End); No’s Knife (Old Vic Theatre, Abbey Theatre); Carousel (Barbican, Opera North); Room (Theatre Royal Stratford East, Abbey Theatre); Man To Man (Edinburgh Festival 2015, BAM, Wiltons Music Hall). Alina Ghost has been in the Digital Marketing industry for 7 years and is podcast founder and host at SEO with Mrs Ghost. She’s currently Search Engine Optimisation manager at Amara and has worked for the likes of Tesco, Debenhams and Carpetright. Alina is judging this year’s Best Marketing Campaign but previous to this, she was herself shortlisted for Best Campaign alongside Tesco at The Drum Awards. Her team was also shortlisted twice for Best In-House team at the UK Search Awards and she was Lifestyle category judge at UK Blog Awards three times. 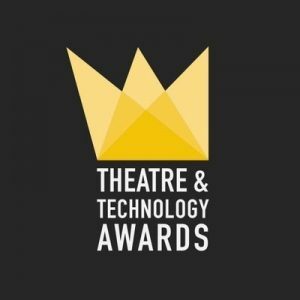 She is very excited to be part of the Theatre & Tech Awards to offer the best campaign the chance of recognition of their hard work! Sophia A Jackson is a communications professional with extensive experience as a journalist and editor, events manager and as a digital PR/marketing expert. Sophia is the founder and editor of Afridiziak Theatre news – a website, celebrating African-Caribbean theatre: www.afridiziak.com. Since the site was launched in September 2008, it has become the one stop guide for the latest news, reviews and interviews in the world of theatre from an African-Caribbean perspective. Afridiziak Theatre News has proudly supported the following theatres in the promotion and marketing of their productions – Oval House, Royal Shakespeare Company, National Theatre, Royal Court, Theatre Royal Stratford East, Talawa Theatre Company, Sadler’s Wells, Barbican, The Albany, Young Vic, Bush Theatre, Tiata Fahodzi, The Tricycle, Cutty Sark Studio and Unicorn Theatre. Sophia was been featured in various publications and been asked to speak at the Royal Shakespeare Company, Treading the Boards initiative for young people at the Bernie Grant Arts Centre and for Inspirational U. West End Wilma is the mother and son, theatre blogging duo. Running around the West End interviewing stars, reviewing shows and blogging about theatre. West End Wilma was voted Ticketmaster’s Theatre Blog of the Year 2014 and in November 2014, held the first annual Wilma Awards which is due to celebrate its 5th year in November 2018 with a huge gala ceremony. In moving with the times, blogging has turned to vlogging and we are working on building our YouTube channel with lots of great vlogs, interviews, conversation pieces and collaborations with other theatre content creators. West End Wilma was born out of love for theatre. We aren’t just a review website, we aren’t just a news outlet, we love sharing all different types of content that theatre lovers want to see. Jim Bowes is the CEO and co-founder of TPX Manifesto, and Chief Innovation Officer and Founding Partner of The Panoply – a group of digitally-native technology services companies assembled to meet the needs of the fourth industrial revolution. Jim set up Manifesto, the London based agency in 2011, designing digital services and products around the needs of users, working with health, housing, travel, charities and third sector organisations. Jim has worked in digital or digital content for the last 20 years, and co-hosts a monthly technology podcast called AlexaSTOP! and presents a weekly tech show, de:code, on Hoxton Radio. His career has also included everything from Ibiza DJ to tea room owner and comedian. Khadija Raza is a performance designer based in London. She studied BA Design for Stage at the Royal Central School of Speech and Drama and was winner of the Linbury Prize 2017 for the Unicorn Theatre and Stage Debut Award for best designer, 2018. Selected credits include; as designer: My White Best Friend (Bunker Theatre), Cacophony (Almeida Theatre and The Yard), Spun (Arcola Theatre), MIXTAPE (Royal Exchange Theatre) and Hijabi Monologues (Bush Theatre). Tammana is a freelance photographer and filmmaker based in London. She has a keen interest in the documentary genre and a long standing desire to make a positive difference with her creativity. Her work often explores people, including experiences, emotions and life. Helen Imuaphe is a dynamic entrepreneur who focus mainly in Fashion, Events and Media. She is the founder of IARA (International Achievement Recognition Awards). A platform that celebrate the hard work of exceptional talents in Theatre, Music, Film/TV and the Fashion industry. Helen’s tenacity and passion has been the key to her success. She is dedicated to helping others thrive by empowering them through IARA’s masterclass, apprenticeship scheme and also via Helen Imuaphe foundation. A platform that provides support to orphans and the less privileged. Elliot Grove founded the Raindance Film Festival in 1993 and the British Independent Film Awards in 1998. He has produced over 700 short films and seven feature films under the banner of his production company. No Budget Filmmaking was published by Focal Press in July 2015. His novel, THE BANDIT QUEEN is being illustrated by Dave McKean and is scheduled for publication later this year. His production company operates under the Raindance banner and is currently developing a slate of ten features. In 2009 Elliot was awarded a PhD by Open University for services to film education. Voting will open on Monday 1st April and will close on Sunday 30th June 2019!